From a mild day for the first event the Australian Middle Championships at Crooked Straight, the weather became warmer to the high twenty degrees for the relays at Wiela - Bunyip Reach and the Australian Sprint at Renmark Schools. 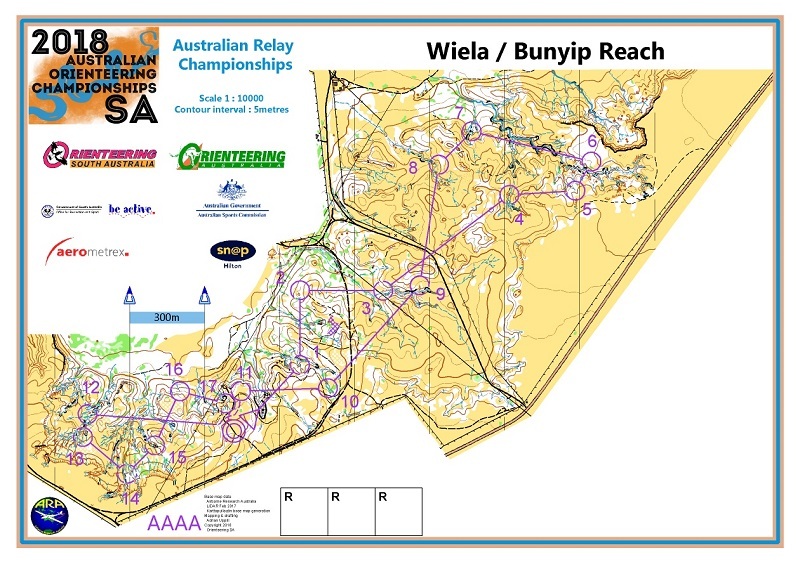 At Crooked Straight, the sandier terrain at times produced some physically demanding courses set by Robert Smith, whilst at Wiela - Bunyip Reach the challenge for the courses set by Simon Uppill was to find your way through the maze of erosion gullies. 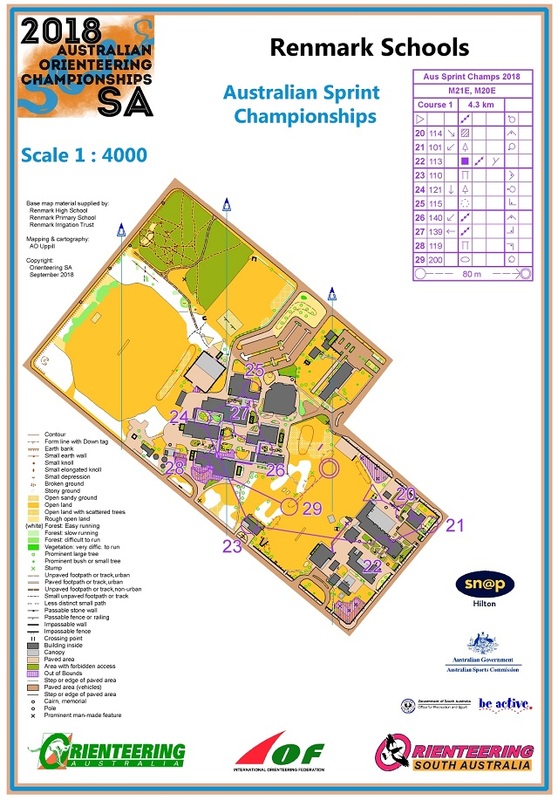 The sprint at Renmark schools was a super fast area, some temporary barriers added some technical complexity to the courses set by Robin Uppill. Link to all the results can be found here. And some fantastic photos of the three events on the carnival Facebook page. Course maps for the Middle and Sprint here.